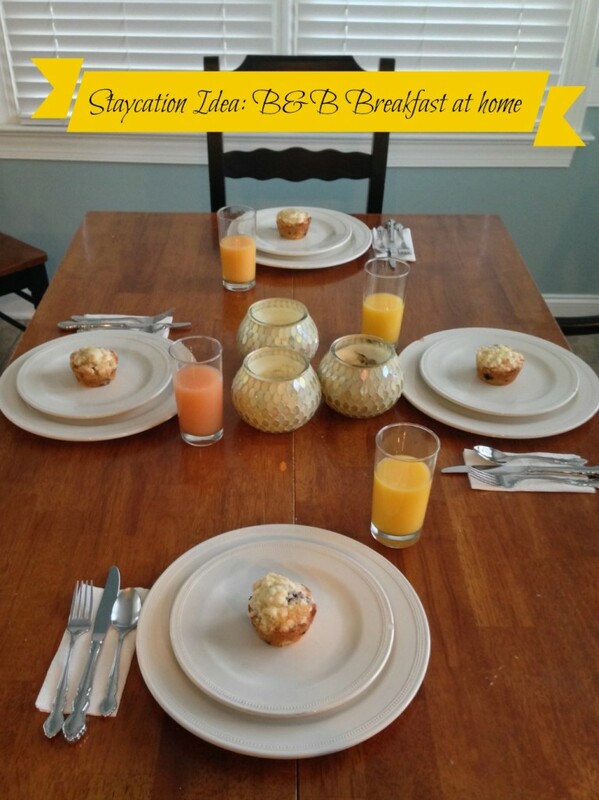 Home » staycation » #Staycation Fun: B&B at home! #Staycation Fun: B&B at home! If you’ve followed my posts for a while, you know I love making time at home special, just like vacation… Inspired by our incredible B&B weekend, I planned our own B&B breakfast at home. When I told the kids what I was thinking, they asked if I’d be making the coconut-chocolate muffins or the apple cider syrup we enjoyed at Sunrise Farm B&B. Since I don’t have Julie’s recipes, I made my own menu. It did not disappoint! Making an at-home breakfast B&B worthy takes just a smidge more effort than any ordinary cooked breakfast. Plan your menu. The B&B meals I’ve most enjoyed are served in courses, just like dinner at fancy restaurants. See more about the menu in the next section of this post. Prepare the kitchen! Before we went to bed Friday night, we took extra care with the kitchen, running and emptying the dishwasher before bed and setting out all the cooking equipment we’d need to prepare breakfast. Set the table the night before. After our kids went to bed, we set the table with dishes, juice glasses, silverware and napkins. I didn’t dig out the cloth napkins this time around, but I probably will the next time. When they came to breakfast, they were instantly excited and curious. Consider the timing! Prepare what you can ahead of time. We cooked our muffins Friday night so they were ready to go. Enjoy the experience. At the B&B, breakfast took about 45 minutes, starting with coffee and juice. Over the meal, we chatted with other guests and shared stories of our vacation adventures. Too often, we forget to take the same time with family. Enjoy leftovers at lunch! Why cook twice? While the coffee brewed, we prepared the fresh fruit cups and baked the ham and egg cups. Once the ham dish was in the oven, we started with coffee (for the adults), juice and the world’s best blueberry muffins, made from a recipe we discovered back in 2003! We cooked the muffins Friday night, which allowed us to sleep in Saturday morning! After that, we enjoyed the fruit course, which served as a refreshing palate cleanser before the final course. 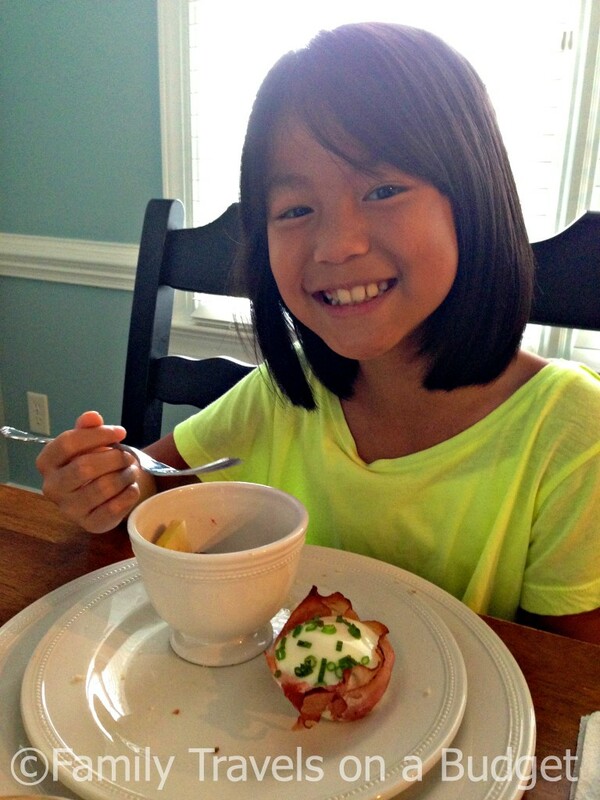 Since the ham and egg cups only need 15 minutes to bake, they were ready right on time! We couldn’t have timed this breakfast better if we tried! We enjoyed a delicious breakfast that lasted about 35 minutes. The warm, cozy feeling lasted all day! Great smile! Great start to the weekend! What’s your favorite family breakfast? Do you take time to slow down and connect? If you like this staycation fun idea, please share it (using the convenient buttons below). The more families connect, the better off we all will be! This sounds fantastic. Love how you include set the table at night. I’d never think ahead like that. Trying this with my kids next weekend. Susan, My oldest is in college and I’m just figuring out how to plan ahead. I know it works, but I’m not consistent about it. I wonder why. 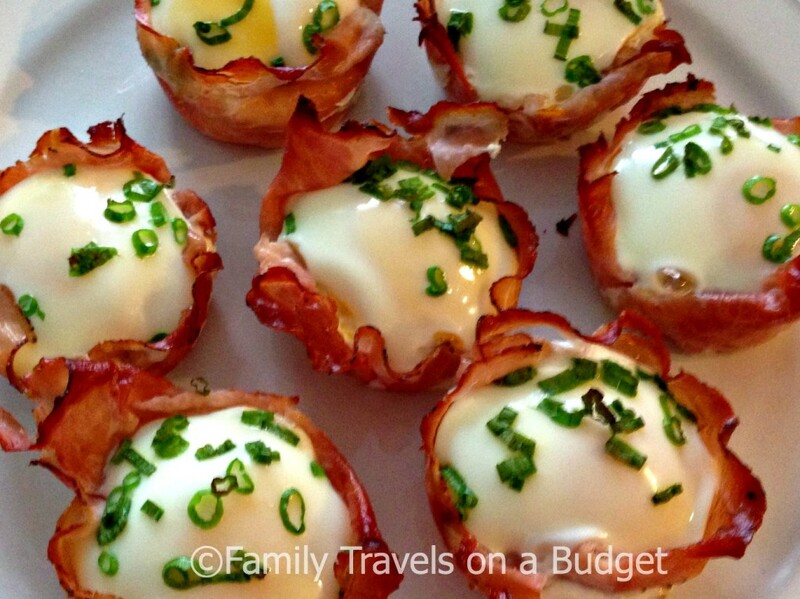 The ham and egg cups are a great dinner option. We make a double batch for breakfast and save the extras for a quick, cold lunch. Super yummy! After looking at your ham and egg cups I think that is my favorite breakfast. It looks so good. What fun! A very nice idea! When my little guy is old enough to appreciate it, I will definitely be implementing this idea! Thanks for sharing! Fun idea!! Breakfast is my favorite sit down meal. 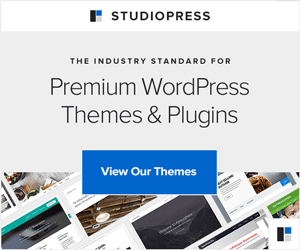 Love your idea too! Thanks, Kim! I’m becoming a big fan of breakfast, especially on weekends. It’s much easier to wake up to something fun and delicious. I love the whole idea of B&B Breakfast! What a great family tradition 🙂 Your menu looks yummy too. You inspired me to do something similar for my own kids. Thank you.